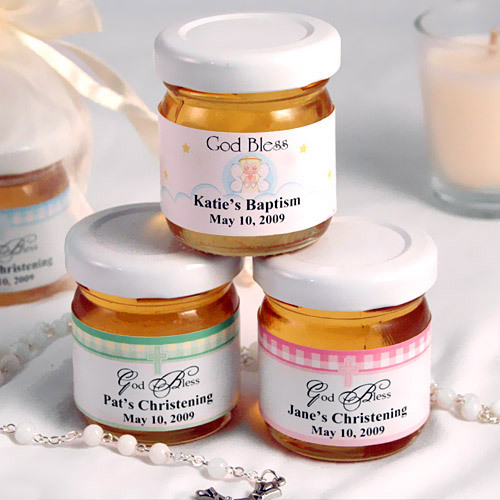 Your child’s blessing or baptism day is a once in a lifetime event, a day you’ll remember for the rest of your life. 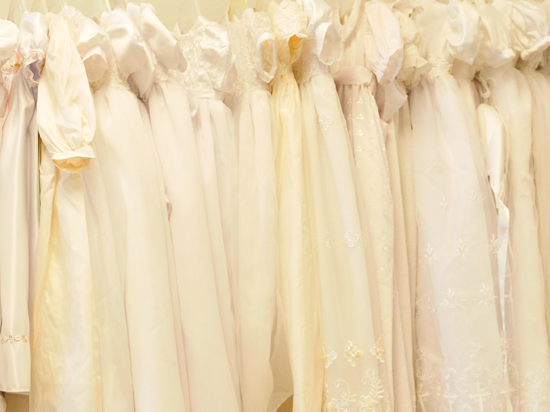 It can take a lot of time and effort to put everything together: there’s the ceremony to arrange, pretty christening clothes (of course!) 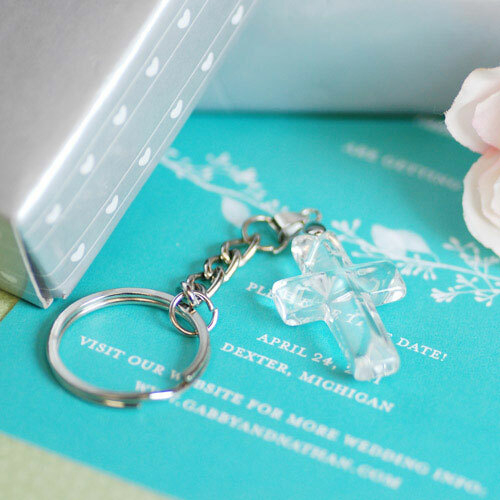 to find, invitations to send, after-ceremony dinners and parties to plan, photographs to document it all. We do these things to mark the significance of the glad occasion, and to enjoy the companionship and support of our friends and loved ones. 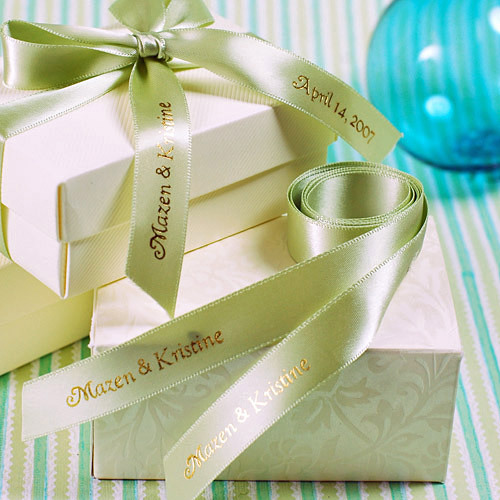 Personalized ribbon: your own name, date or special phrase added to this luscious satin ribbon will lend an elegant, sentimental air to anything you wrap it with…the options are endless! Personalized hand sanitizer…so practical! And CUTE! And my all time favorite: caramel popcorn…good times, there! Beau Coup has generously offered a $25 gift certificate for one lucky reader! 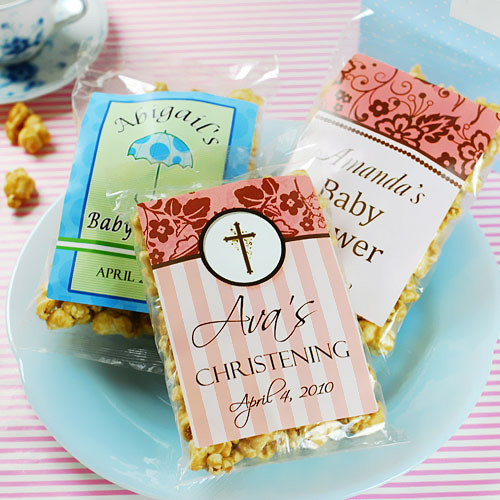 To enter, share your favorite Beau Coup party favor in a comment on this post. For additional entries, follow us on Twitter or tweet about the giveaway…just drop another comment here to notify me of your add/tweet. This giveaway will end on Monday, July 12th at 10:00 pm MDST. 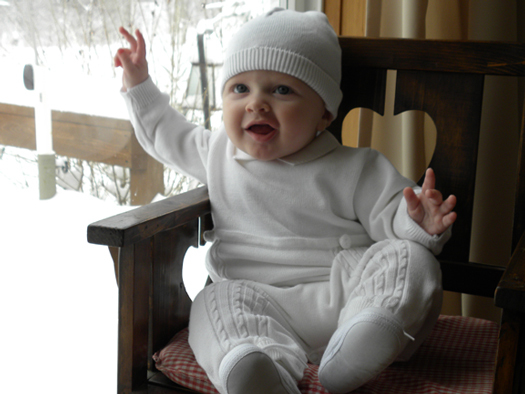 If you’re currently melting in sweltering heat, take a moment to gaze at this adorable baby boy, visualize the sensation of being all cozy when it’s freezing outside, and get back to enjoying your summer! 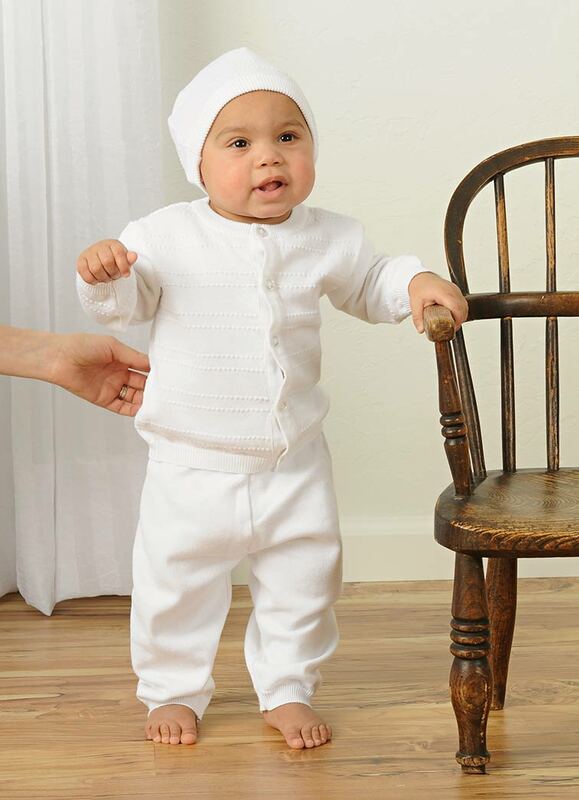 Thanks to his mamma for sharing her experience with our knit Aiden Baptism Outfit. 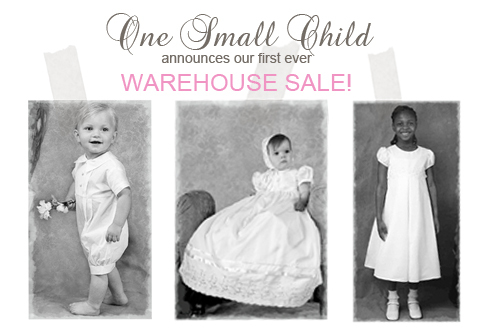 We’re Having a Warehouse Sale! Prices start at $3.00, nothing over $35.00! Feel free to contact us with any questions…we’d love to hear from you and can’t wait to see you, your friends and family–let them all know! P.S. 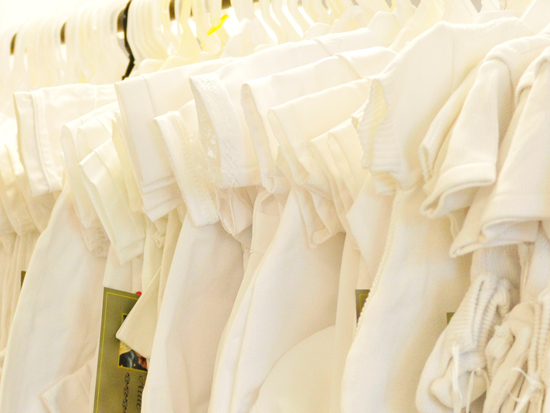 Thanks to all who entered our christening bodysuit giveaway this week, and congratulations to our winner, Claude, we’ll send your AWESOME set of camisole bodysuits out right away!